January 1st 2019 - The Texas Golf Association bestowed the Bob Wells Distinguished Service Award to Sis Singletary of Houston at an award ceremony on Feb. 8, during the Association’s Annual Meeting at the Westin Stonebriar & Golf Club in Frisco. A passion for volunteerism and the game of golf are a trademark of the Singletary household. Her husband Loren is a past TGA President and current Director, as well as a former member of the USGA Executive Committee. First presented in 2005, the Bob Wells Distinguished Service Award is the TGA’s highest honor for volunteerism and recognizes an individual’s meritorious service to the game. The award is named after the late Bob Wells, who served as TGA president from 1980-87. A longtime member at Houston Country Club, where she is a 10-time club champion, Singletary in 2019 is commemorating her 21st year of volunteerism with the TGA and Women’s Texas Golf Association, which merged with the TGA in 2014 to form a unified governing body for every golfer in Texas. In her wide-ranging volunteer roles, Singletary been a driving force in helping the TGA evolve into one of the USGA’s most influential Allied Golf Associations (AGAs). Singletary was elected to the WTGA Board of Directors in 1998 and helped conduct that year’s Women’s Texas Amateur Championship at The Hills Country Club in Austin. From that point forward, there’s scarcely any volunteer assignment Singletary hasn’t taken on in an effort to enhance the game for the entire Texas golf community. Singletary would later go to serve as President of the WTGA in 2004. She currently is a member of the Women’s TGA Committee and a TGA honorary director. During her first year as a board member, Singletary proposed the WTGA begin utilizing a newly created USGA computer program, Tournament Paring Program (TPP), which would greatly simplify and enhance tournament administration. Singletary’s contributions to Texas golf haven’t just been confined to the boardroom, though. 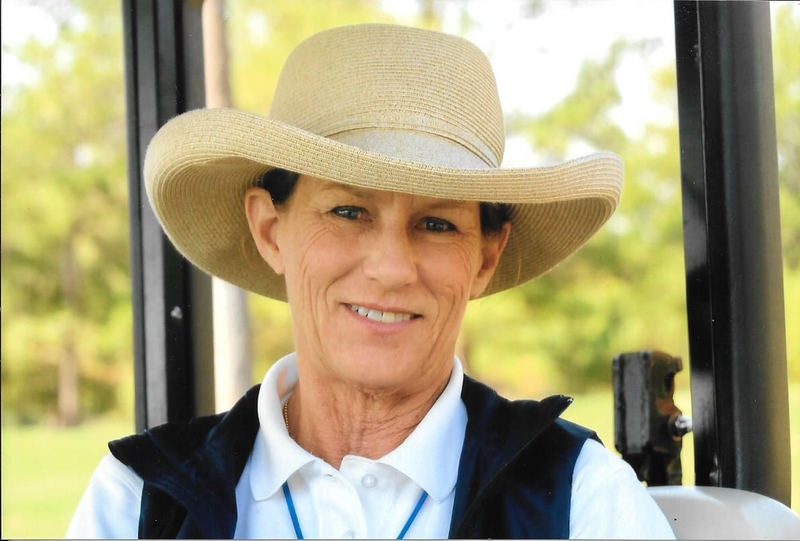 Over the past two decades, she has been one of the TGA’s most active and prolific Course Raters. She has kept a detailed record of each course she has rated through the years and the current count stands at 275, with many more on the docket. Singletary also played a crucial role in merging the Women’s and Men’s Course Rating Teams, which led to more courses being rated each year and on the same timeline using shared information. On a national level, Singletary has served many functions to help conduct USGA championships and USGA championship qualifiers. She is a former member of the USGA Regional Affairs Committee and a current member of the USGA Women’s Mid-Amateur Committee. Singletary has remained heavily involved in golf for so long because she has enjoyed helping grow the game in Texas, seeing great golf courses and meeting great people. 16200 Addison Road #150, Addison, TX 75001 © 2019 Texas Golf Association Terms & Privacy. Sitemap.